What is a Direct Med Program? What is a Direct (BS/MD) Medical Program? 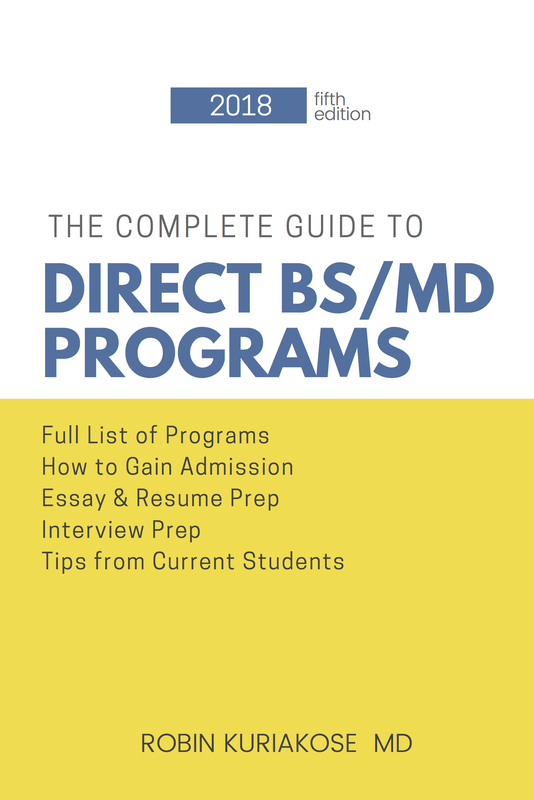 A Direct BS/MD or BA/MD Program is a direct-entry program that guarantees a high school student admission into medical school contingent upon certain criteria, specific to each program. Some combined direct-entry BS/MD degree or BA/MD degree programs require that students achieve a certain score on the MCAT (after their second/third year into the program), while others completely waive the MCAT although requiring a certain GPA to be met. Other programs require the MCAT to be taken but do not require any specific score (in other words, they want you to just take the exam but your score does not impact your admission into the affiliated medical school). With only a few hundred seats in the country to get admitted into one of these programs, most people have not heard of them. As a result, they are highly competitive. Read on and find out how you can make yourself more competitive! Making yourself more competitive from high school is more and more difficult these days. I hope this website serves as a tool to guide you through this process. From BS/MD Interview advice to finding a program that fits you straight from high school, I'm excited to share with you all I have learned over the past few years. ​medical programs available in the country! We have the complete list of available BS/MD programs!